All the stats and facts from the fifty fifth match of IPL 2018 between Delhi Daredevils and Mumbai Indians. 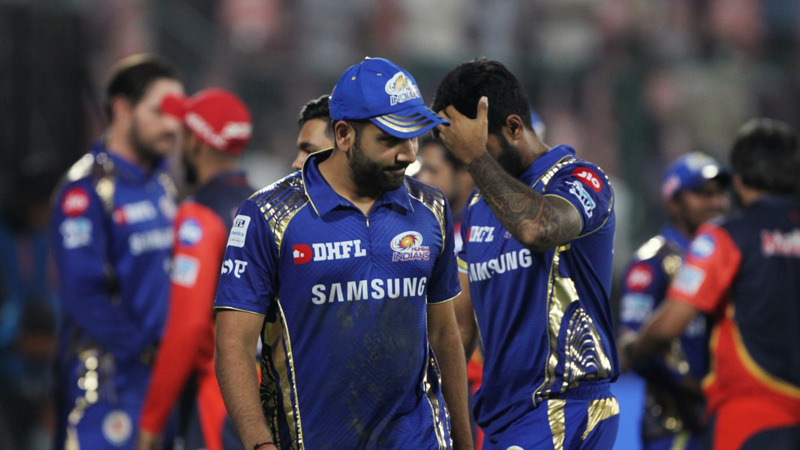 Defending champions Mumbai Indians have been knocked out from IPL 2018 after they lost to Delhi Daredevils by 11 runs at the Feroz Shah Kotla Stadium, Delhi. Delhi Daredevils, after winning the toss and opting to bat first, posted a total of 174/4 with the help of Rishabh Pant's 64 and Vijay Shankar's 43* runs on a spin-friendly track and bundled out Mumbai Indians for 163 runs in the last over of the innings. Delhi Daredevils finished their season with five wins from fourteen games and on the other hand, Mumbai Indians ended up with six wins. 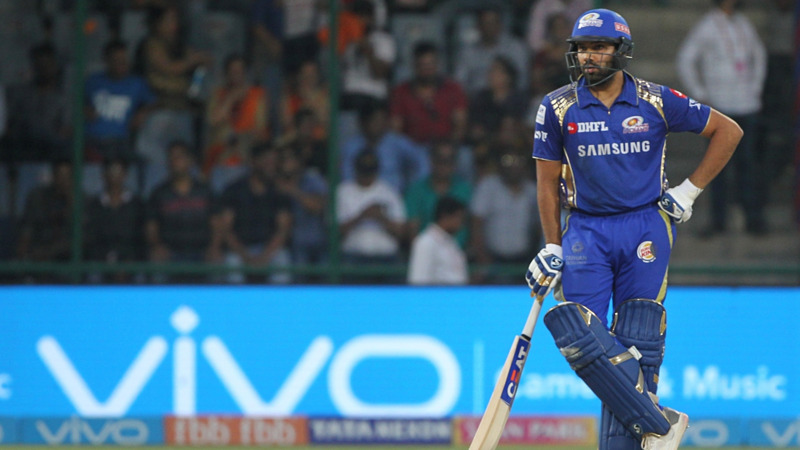 4 - Only the fourth time in IPL history, Mumbai Indians have not made the playoffs. They didn't make the playoffs in IPL 2008, 2009, 2016 and 2018. 11 - Mumbai Indians have lost 11 matches against Delhi Daredevils in the IPL - the second most they lost to an opponent in the IPL after CSK (12). 14.08 - Glenn Maxwell's batting average in this season - the lowest for a batsman in IPL 2018 (Min 100 runs and 5 innings played). 50 - This was the Hardik Pandya's 50th IPL game, he has scored 666 runs at an average of 23.78 and has taken 28 wickets at an average of 32.96 in 50 IPL matches. 286 - Runs Rohit Sharma scored in IPL 2018 - the lowest for him in a single season of IPL. The previous lowest was 333 runs in IPL 2017. 684 - Runs scored by Rishabh Pant in IPL 2018 - the seventh most by a player in a single edition of IPL.